Proposal: Renew India: Public Transport with no Carbon Footprints. This plan aims to modify the existing public transport mode of Rickshaw (a compact three wheeler vehicle used in a number of Indian metros) and reduce the overall CO2 emissions. The electrification of Rickshaws will reduce the carbon emissions many folds. To charge the batteries, the energy shall be derived from renewable energy sources endemic to that particular region of the country. In this way, complete potential of a particular region can be utilized effectively and with minimum costs. The model can be applied to all the major metros of the country such as Mumbai, Delhi, Chennai, Kolkata, Vizag and Ahmedabad where Rickshaws throng the streets in abundance and later spread to the entire country. Since the utilization of renewable energy can generally be costly for individuals, the plan aims at mass production of renewable energy followed by supplying it as per individual vehicle needs. Solar farms to charge batteries shall be incorporated. This can be done by using an estimate of the daily rickshaw energy requirements and setting up a plant of the required area. Wind is the second highest harnessed source of renewable energy. Windmills have been popular and predominant in various parts of India for electricity generation. Since wind is generally erratic and not very reliable at times, the projects should be coupled with other sources such as Solar or biogas for effective implementation. Biogas generators shall be used to charge batteries in the areas close to Biogas plants. This is mainly for regions where none of the other renewable sources are available. Even though the burning of biogas is not carbon-free, the pressure on existing crude oil derivatives can be heavily reduced, in the process helping to make India energy independent. Similarly, biofuels can be used to run the generators. Only minor tweaks are needed in the already existing generators to make them compatible with biofuels. Our proposal aims to revamp a large section of Indian public transport i.e. auto-rickshaws by replacing conventional fuel based engine operation to electric. The current system of rickshaws use petrol and CNG as their primary source of fuel. Even though the vehicles have low power and are not that polluting compared to cars or transportation truck, the effect of their numbers far outstrips this fact and thus makes them one of the heaviest polluters in the country. Electric vehicles have zeros emissions. However, it is important that the electricity comes from a clean source for this to hold completely true. If the batteries are charged by say, coal or petroleum produced electricity, then the reason behind incorporating electric vehicles can be put into jeopardy. Thus, the charging of the batteries shall be done at designated outlets in and around the city where provision shall be made for charging with renewable energy endemic to that particular region. The rickshaw operators can merely deposit the used up batteries there in exchange for a new one by paying a fee. Since India is blessed with a wide variety in geographic and climatic conditions, optimum use of renewable energy can be made which produces the best result. For instance, Mumbai which is coastal can make use of wave energy and Delhi which is landlocked can make use of Solar and Biogas. The plan involves setting up of hybrid energy plants thus reducing the dependence entirely on one energy source. The growing impetus for using renewable energy in the public transport field shall also find its way later into the private transport sector. Once the benefits of this plan are showcased and forms an effective model of clean energy at minimum cost, it will not be long before the effect resonates into Electric Cars. Motor continuously needs 10 A of current . All the batteries will be charged by a mother station which will comprise of Solar-Wind hybrid devices. The batteries will then be delivered to a daughter station all over the city from where rickshaw operators can change their battery every night. 15 A supplied at 27 V(Overvoltage) is 0.405KW(in one sec) needs to be supplied for 4.1 hours which is 1.6 Kwh of electricity. 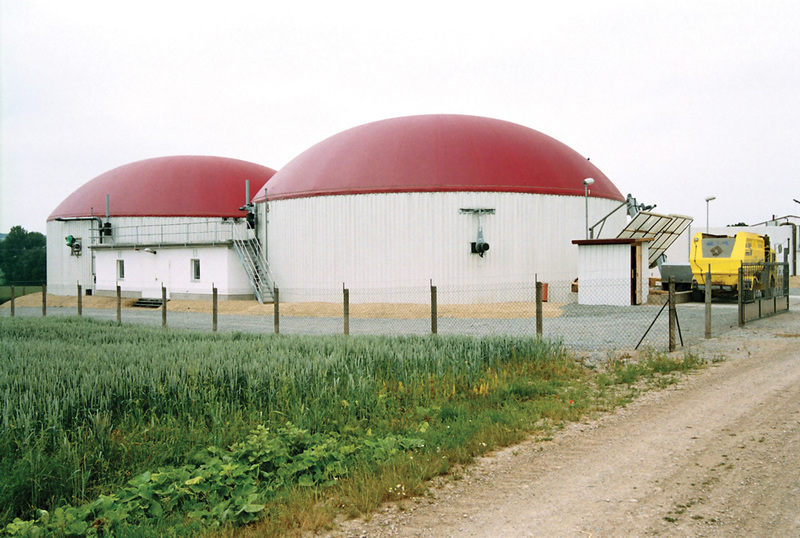 Biogas can be used in case of deficit of other forms of renewable energy. 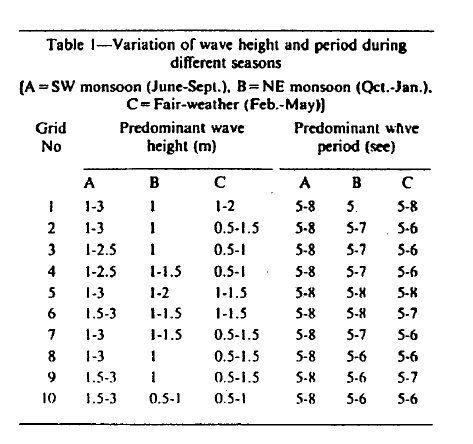 For example, in the case of overcast weather in Solar Plants or in the case of sudden power failure. 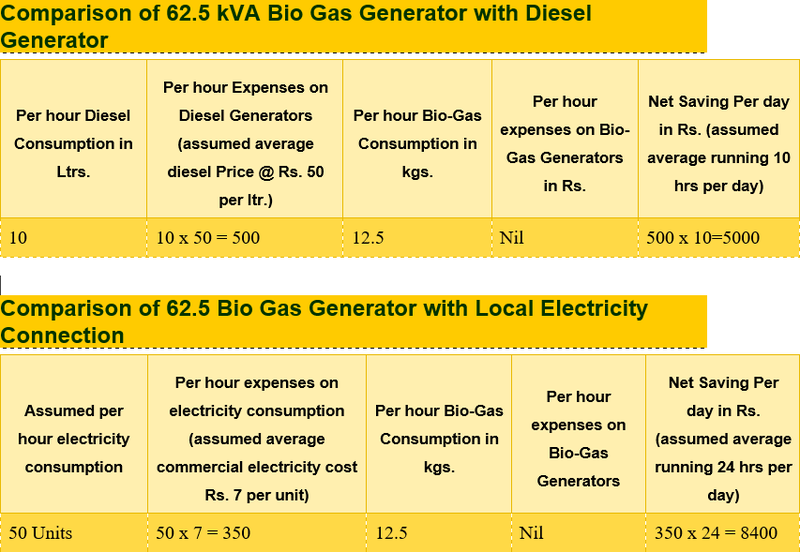 The changes required to be made to a normally operating Natural gas generator are very few for using biogas in place. Commercially, a number of Gensets from Duetz, MAN, etc are available for use. Biogas and Natural Gas inherently are not completely pollution free. However, this is eclipsed by the fact that biogas is effectively available free of cost. Average calorific value of biogas is 20 MJ/m3 (4713 kcal/ m3). The mother station is a wave energy plant that will charge all the batteries and deliver to the daughter stations. Taking efficiency as 50% , 300 m of wave front and 10 hours of sea state hours per day. Therefore total amount of CO2 emissions per day: 2712 tonnes of CO2. There are an estimate of 1 million rickshaws in India. Therefore, total amount of CO2 saved in the entire country per year: 3.066 million tonnes of CO2. The results of the impact tab show a moderate rise initially when the entire setup will need to be created, followed by a robust decline starting 2040 when the plan rolls out completely and electric rickshaws powered by renewable energy become ubiquitous. 1. India being the first country in the world to have a separate ministry for new and renewable energy, follows an aggressive stance towards dealing with climate change. Our proposal links at all times with the government policies and incentives.The 550 ppm CO2 equivalent limit would be the target for our proposal as it aims to reduce 3 million tons of CO2 emissions over a period of 10 years. 2. The government has set up new policies like FAME, to provide tax incentives to electric vehicles and infrastructure for the same which will be incorporated in our plan. 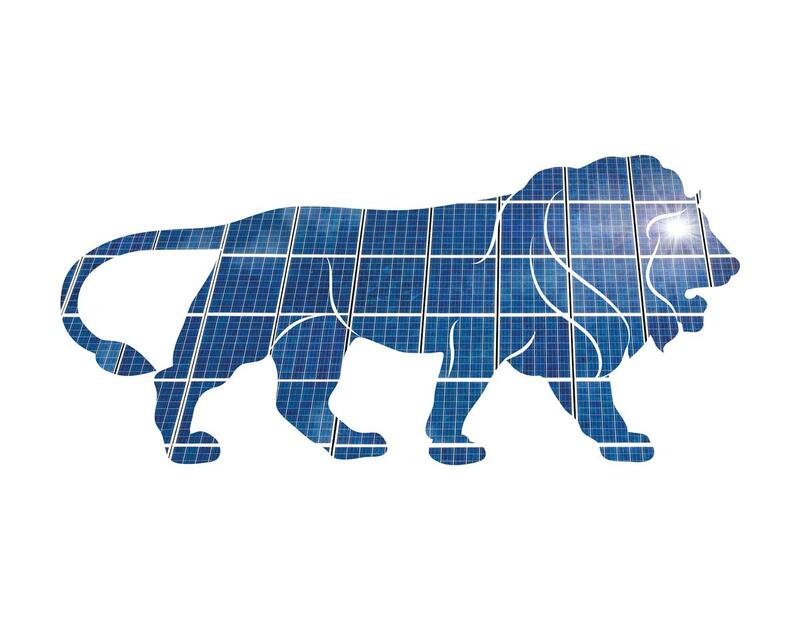 Also the 'Make in India' initiatives have resulted in a funding from multinationals of over $4 billion towards new technologies in the field of renewable energy. These schemes help India and our proposal have a greater energy efficiency due to increased investments and robust policies. 3. Currently, India highly relies on wind energy and is going to setup the world's largest solar plant in Madhya Pradesh. India has recently signed international pacts towards development of nuclear technology. Research and studies are on regarding potential of CCS in India. Hence, India is the ideal place for all no carbon technologies. 1. Tremendous reduction in the CO2 emissions in the public transport sector of the country. For a million rickshaws, 3.066 million tons. 2. Will give positive impetus to the private car sector in the near future. 3. Reduced dependency on foreign crude oil. Will help India becoming energy independent. 4. Electric rickshaws operate silently as compared to the noisy operation of conventional rickshaws thus reducing noise pollution. 5. Increased awareness amongst the masses about renewable energy and their benefits. Currently, the population of India is currently relatively alien to renewable technology. 6. Reduced air pollution (soot, NO2, etc) which is a chronic cause of respiratory problems especially in the urban regions. 7. Since the plan makes use of several new technologies, it will create an employment boost in the energy industry. 8. Diesel and petrol emission cause a host of cardiovascular diseases, respiratory ailments and cancer. 1. Difficult to change the fixated mindset of drivers to make use of greener technology. Strides in this field has already been made in the year 2011 but without any fruits. 2. Space crunch in densely populated cities like Mumbai and Delhi. Thus, additional space requirement for hybrid charging stations can pose a real difficulty. The plants alternately would be situated on the outskirts of the city and thus would incur additional transportation costs. 3. Production of batteries with the existing technology (Lead Acid) can lead to extensive environmental damage since Lead is a poisonous metal. 4. Dearth in the number of charging stations can deter rickshaw owners from adopting the new form of rickshaws. There may be a case wherein the rickshaw drivers demand for more recharging stations first and the government on the other hand demands more adoption for increased number of recharging stations for sustainability. Thus may be a classic case of demand vs supply face off. 1. Short term (3-5 Years): Retrofitting already existing rickshaws in a medium sized city. This will set an example which can be emulated by bigger cities. The initial phase of the plan shall be modifications of the existing rickshaws at a subsidized cost. Under the incentive of “Early Bird Offer”, discounts can be given if the replacement is adopted before a certain date. 2. Medium Term (5-10 years): In the medium term, after all the existing rickshaws are transformed, newer rickshaws can be manufactured which come pre-fitted with electric motors. 3. Long Term (10-18 years): Existing old Lead Acid Batteries to be replaced by lighter and efficient Li-Ion batteries. The existing battery set up can be used to power private vehicles. The already existing set up for rickshaws can be extended with increased power capacity of hybrid power supply station for cars. The earnings from this sell off can be used to give subsidies to public transport vehicles like buses, taxis and rickshaws. The authors had set up an unsuccessful crowd funding campaign for development of a retrofit kit and business proposal for electrification of Rickshaws in Ahmednagar, Maharashtra. In this work the design problem of a three wheeled auto rickshaw & the impact of hybridization on fuel consumption and CO2-emission reduction for these types of vehicles were discussed. Hybrids proved to be expensive, polluting & less efficient compared to their all electric counterparts, steering our work in all electric direction. This report provides guidelines to the Government and citizens for greener living via examples of green cities. Ministry of Environment, Government of India. Ministry of Non-Conventional Energy Sources, Government of India Press Trust of India National Policy on Biofuels 2015. New Delhi Energy Alternatives India (EAI) United States. 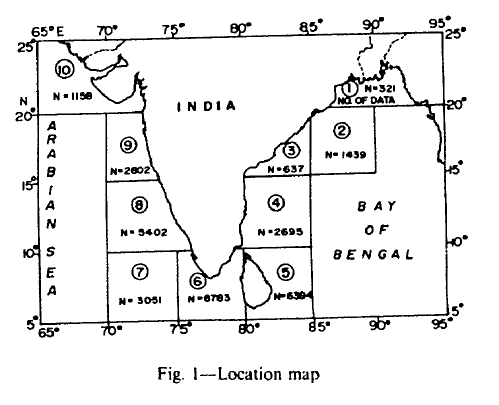 The Tamil Nadu 45 turbine wind project (statistics). Renew India: Public Transport with no Carbon Footprints. What should be India’s plan to address climate change?